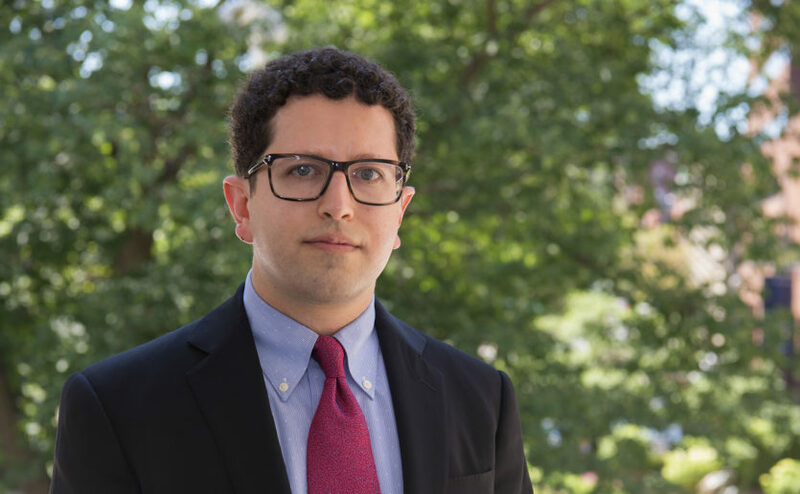 Alex Keuroghlian, MD, MPH, focuses on gender and sexual minority health at the Massachusetts General Hospital Department of Psychiatry. Gender and sexual minorities include people who are lesbian, gay, bisexual or transgender (LGBT), whose gender identity or sexual orientation does not conform with that of the majority of people. A psychiatrist, he directs two federal centers aimed at improving LGBT policies and care across the United States, especially for those who are transgender and gender non-binary. He recently started the MGH Psychiatry Gender Identity Program, with the goal of developing and delivering tailored, evidence-based mental health care for gender minority communities. Dr. Keuroghlian — who is part of an effort to make Mass General more welcoming to patients who are transgender — talks about some of the challenges and solutions involved. We want to support folks in a holistic way to triumph over the adversity that is too often part of having a stigmatized identity. How did you realize that gender and sexual minority health would be your professional path? As a member of the LGBT community, I was aware of the challenges and the enormous need. Then in medical school, I immersed myself in HIV psychiatry, where I worked with many gender and sexual minority patients. I also did research on post-traumatic stress disorder (PTSD) among gender and sexual minorities and realized how pervasive the trauma is and how great the need is for better treatments. We have plenty of expertise and evidence-based treatments for various disorders in our psychiatry department. We now have the opportunity to tailor them to this population. It’s become a real passion. What are you working on at Mass General? We’ve just established the MGH Psychiatry Gender Identity Program, focused on customized mental health treatments, wellness and resiliency. This will focus on using the enormous resources of the department — in mental health, stress-reducing strategies related to the mind-body connection, resilience and wellness — to holistically enhance quality of life and help people thrive. We are organizing and tailoring these resources in a culturally specific way to affirm people in their gender identities. We are also coordinating closely with medical and surgical departments on aligning overall care and streamlining processes for getting evaluations from either psychiatrists or psychologists before gender-affirming surgery. How does a wellness approach help? We try to expand beyond just treating disorders. We want to support folks in a holistic way to triumph over the adversity that is too often part of having a stigmatized identity. Our emphasis is on enhancing strengths and resilience, rather than focusing on their vulnerabilities. For example, there is tremendous stigma and stress among those who are transgender. It starts young. People are often rejected by family, by their community of origin and at school. They experience lots of discrimination and violence. Kids quit school or run away from home for acceptance. Then they encounter discrimination in employment and health care. All that on a continual basis is a major source of stress and takes a toll. They experience high prevalence of depressive disorders, anxiety disorders, PTSD and, unfortunately, have a very high prevalence of suicide attempts. These are tremendous mental health needs that require an understanding of the social determinants of health. But it’s very difficult to find clinicians who are competent and confident to care for them. Until recently, care teams have not been trained to provide effective, affirming care for transgender and non-binary communities. It has not been a standard part of the curricula and training for physicians, nurses, psychologists or social workers. We’re involved in research to develop best practice guidelines for providers. These best practice recommendations are developed with participation by gender minority communities for these communities. What are examples of this research? We’re working to publish mental health best practice guidelines that enhance resilience and coping skills, decrease stress and are rooted in the science. We’re engaging the transgender community in this work. These best practice recommendations are developed with participation by gender communities for these communities. For example, we’re focusing on gender identity and serious mental illness — like bipolar disorders, schizophrenia or severe PTSD — and have published guidelines for care. We also developed guidelines for eating disorders and body dissatisfaction in gender minority folks. These are hard to treat and don’t play out in the same way they do among non-transgender people. Our work on addictions, including opioid use disorders, underscores that there are different drivers and mechanisms for gender minority folks. You direct medical student and psychiatry resident experiences in transgender health. Is there much interest? There’s been a sea change. There is remarkable interest among our medical students and residents in pursuing careers focused on gender and sexual minority mental health. Are you starting to see less avoidance of healthcare? I think so. There’s appreciation when there is a competent and confident clinician, who is committed and serious about improving their approach. Word spreads very quickly in the community. For more information about how to support transgender health initiatives at Mass General, please contact us.